Donald Trump’s presidential election campaign promised to apply sound traditional conservative values of non-interventionism once he got into office. This included getting the United States out of Afghanistan where the American military have engaged in that nation’s longest war. However, rather than dis-engagement, the Pentagon and the State Department have in recent months recommended an increase in troops in a country where the Taliban presently controls more territory than at any point since the invasion. Additionally, the ISIS franchise has established control over a stretch of land along the Afghan border with Pakistan. Trump has reneged on a great many campaign promises but it is worth reminding why the United States would be best served by withdrawing from this quagmire, a legacy of its post-Cold War drift towards militarism. The $800 billion cost of ‘nation-building’ which has not contained global Islamic terror or defeated the Afghan Islamist belligerents: the Taliban and Islamic State of Iraq and the Levant – Khorasan Province. As of October 2016, 2,386 American military personnel have been killed, 20,046 American service personnel have been wounded in action and 1,173 American civilian contractors have lost their lives. Thousands of Afghans -over 91,000 civilians, soldiers, militiamen- have been killed in a cycle of violence since the U.S. invasion in what was supposed to have been a ‘police action’ against Osama Bin Laden who was never indicted for the 9/11 atrocity. Nor was he formally put on the F.B.I.’s wanted list. In fact it was Libya’s Colonel Muammar Gaddafi who was responsible for the issuance of the first Interpol warrant. Millions of Americans have become addicted to heroin since the U.S. invasion, the aftermath of which has seen an increase in poppy production. The irony is that the Taliban had virtually wiped out the harvest and trade of opium but changed policy in order to use the tax it imposes on farmers to finance its insurgency. 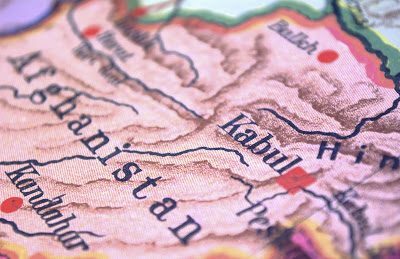 Afghanistan arguably serves as a corporate welfare program for both the defence and chemical industries. The former benefit from Cold Wars with Russia and China as well as in counter-insurgency adventures such as Afghanistan. The latter are keen to benefit from the exploitation of Afghanistan’s rare-earth minerals. The untapped deposits were estimated in 2010 to be potentially worth up to one trillion dollars. That figure was disputed at the time and would be much less given the general fall in the value of commodities. Nonetheless, this has been utilised as a recent ‘selling point’ by Michael Silver, the CEO of American Elements. It is a well known fact that American officials had drawn up plans to invade Afghanistan before the attacks of 9/11. Threats of military intervention had emanated from Washington during the summer of 2001. The underlying reason involved the United States setting up a base close to the oil-rich lands of Central Asia. That rationale and the one being proffered by Michael Silver only serve to reinforce the thesis propounded by Major General Smedley Butler that war is a racket. Unfortunately for the American people, the Afghan racket, along with other unjust wars, has only served to enrich the nation’s oligarchs while they suffer the consequences of a chronic national debt.